Welcome to Barbara & Lance from Canberra's home page. You can find some new pics and videos below. Reproduction is encouraged. Please credit eg "Source: canberradance.org". 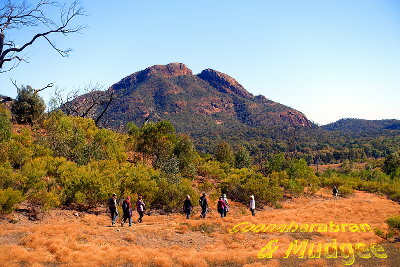 You may also be interested in our travel pics, our other photos, or our links. Sundowners Swanning South March 2019. Healesville and Beechworth including Barbara's Big Birthday Bash at the Beechworth Brewery. Sundowners Swanning South February-March 2019. Phillip Island penguins, koalas, Churchill Island, dancing, the Nobbies, and pelican feeding. Merimbula Sundowners Swanning South at Merimbula, February 2019. 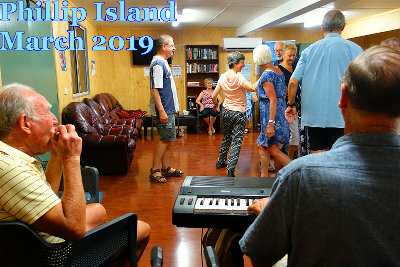 Circassian Circle Part 1, Frangipani Waltz, Arkansas Traveller, What the Heck?, The Drover's Dream with Jim, and a lovely German song from Jim and Ingrid. Phillip Island(1) Sundowners Swanning South at Phillip Island 1 March 2019. Circle Waltz, Armstrong's Waltz, Gypsy Tap, Levi Jackson Rag and Progressive Barn Dance. Phillip Island(2) Sundowners Swanning South at Phillip Island 3 March 2019. Frangipani Waltz to the tune Margaret's Waltz, Circassian Circle Part 1 to the Tarantella, and Levi Jackson Rag. 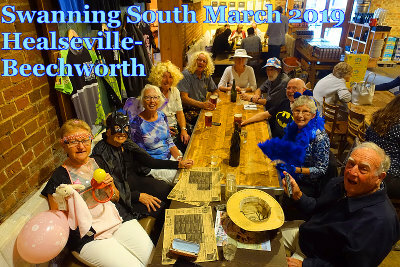 Beechworth Sundowners Swanning South at Beechworth 7 March 2019. Circle Waltz, Waterfall Waltz, Tivoli Galop Quadrille. Music by Bob Hodgson and Stuart Simms, and a guest guitarist. Sundowners Swanning South February 2019. Aranda Briefing, Merimbula, Boydtown, Mallacoota, Lakes Entrance, Walhalla, Traralgon. Cruise with the "out-laws", from Sydney to Noumea New Caledonia, Mystery Island Vanuatu, and Isle of Pines New Caledonia. 24 January to 1 February 2019. Caravan rally to the Parkes Elvis Festival 10-14 January 2019. 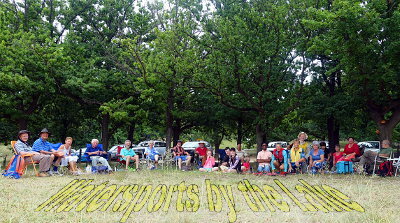 The arrival of the Elvis Express, the street parade, and the Saturday Night Special concert in the park. 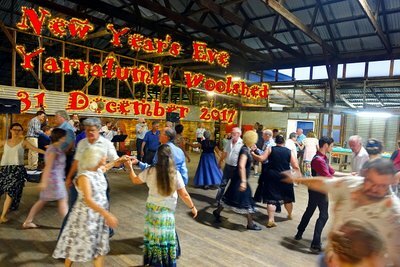 Monaro Folk Society's New Years Eve dance at the Yarralumla Woolshed. Virginia Reel, first dance after midnight celebration. 1 January 2019. And a 4 minute video. Great to see so many still there for the final dances of the evening. 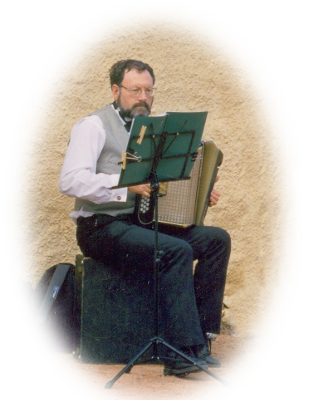 Daryl was a stalwart of the Monaro Folk Society and a founder of the Bush Dancers display group. We hope these photos bring back memories for you as they do for us. 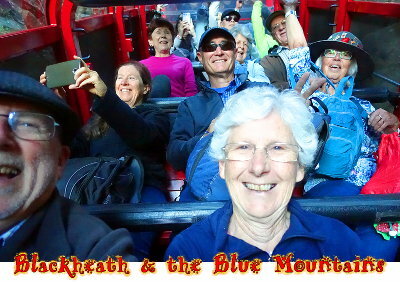 Blackheath, Scenic World Katoomba, Hydro Majestic, Megalong Valley, Wentworth Falls. 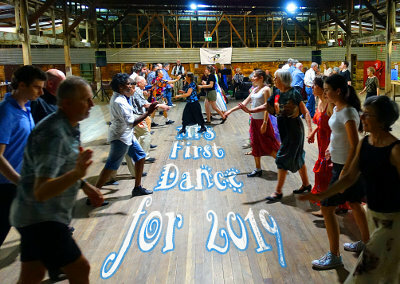 A Tea Dance at Blackheath, a flash mob dance at Scenic World, and a dance in the bush at Megalong Valley. 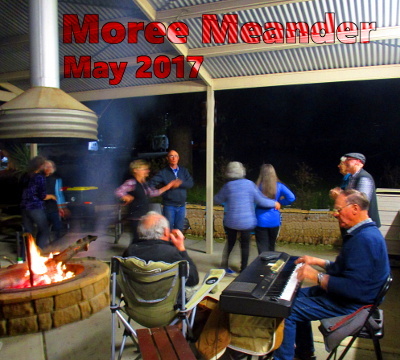 The grand finale of the 2018 Moree Meander. With Stuart Simms on keyboard and Bob Hodgson on harmonica. A royal wedding at the Coonabarabran Imperial Hotel, walking in the Warrumbungle National Park near Coonabarabran, and Mudgee town and wine and cheese tasting. 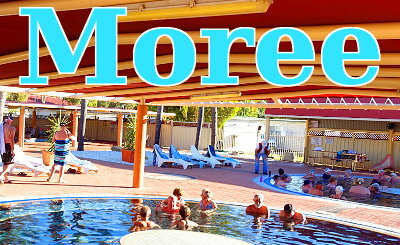 Narrabri, Moree Hot Springs, pecan farm, cotton picking, Lightning Ridge. 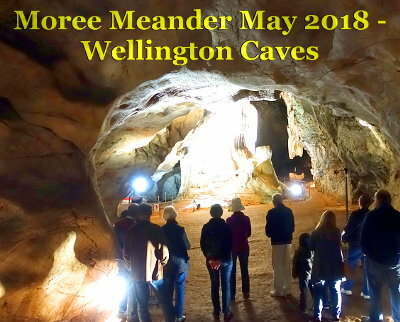 A pre-trip get together, Wellington Caves hamburger night, caves tours including Australian megafauna fossils and reproductions, Japanese gardens, and an evening dance in the camp kitchen. 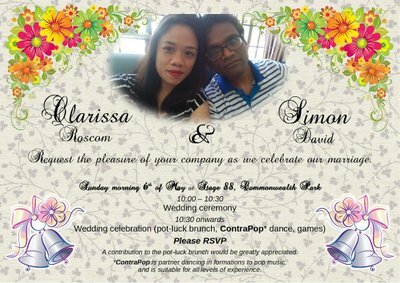 Cup Day Lunch on Tuesday 7 November 2017. With caravanning and dancing friends. And some Videos: Parkes Maxina 90 seconds video by Wendy B and Judy G.
Moree Palma Waltz to the music "Canberra Waltz" played by Stuart & Bob and Roni. 90 seconds. Moree Circle Waltz 2 minute, with join-in by other caravanners. Dubbo Campfire A snippet of faces around the campfire. Dubbo Hippo 2 minutes at Dubbo Zoo, a hippopotamus having its teeth cleaned. Franklyn B Paverty and bush dancers from the Monaro Folk Society at University House on Friday 3 February 2017. Thanks to Dr Zhi-Ping Feng for the photo and video. And a 1 minute video from my (Lance's) phone. For more pics please see our Photos page.